Warehouses are often busy places, so it’s really important that even the most rudimentary safety rules and guidelines in your work space are delineated as clearly as they can be. 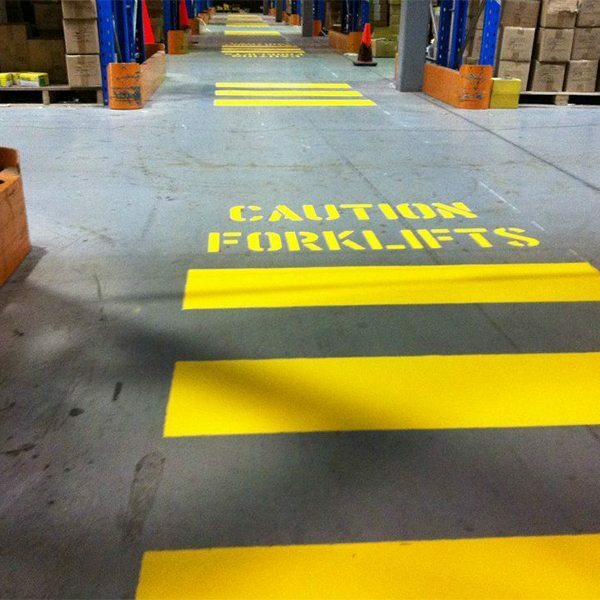 Here at All Painting Ltd. we have years of experience in retouching Port Moody warehouse safety zone lines and stencilling in accordance with the highest industry standards. Our team of expert professionals will make sure that the safety lines in your work space are clear, so that you never have to worry about your employees misreading or overlooking your safety directives. All Painted Ltd. is a BC company that has operated in the Port Moody area for nearly 20 years. We have Gold Star status with Work Safe BC, and we offer a standard three year limited warranty on all our materials and workmanship. We offer excellent craftsmanship at fair and competitive prices. That’s how we guarantee the longevity of our company. So for all your warehouse safety zone lines and stencilling needs, call us now and talk to member of our friendly and professional staff. We look forward to working with you.